The next holiday on the calendar is an important one! Mother’s Day is to celebrate the amazing women in our lives that deserve to be pampered and spoiled every day. One of our favorite ways to celebrate such a wonderful holiday is through a classy, fun, and a well-thought out Mother’s Day brunch. From a spring inspired tabletop to a curated menu-based meal, we rolled out the best brunch ideas for Mother’s Day on Sunday, May 13th. Keep reading to get some inspiration and to get started on creating the best brunch of the year! Mother’s Day is the perfect spring holiday. For your upcoming brunch, tie the season and the holiday together with seasonal colors, cocktails, and fun bites like fresh fruit and simple snacks. Some of our favorite bites like these? Melon-balled fruit, fruit-based cocktails, mini quiches, and small danishes. Not only are these dishes simple and delicious, they go perfectly with seasonal colors such as yellow, lush green, light pink, and soft peach. 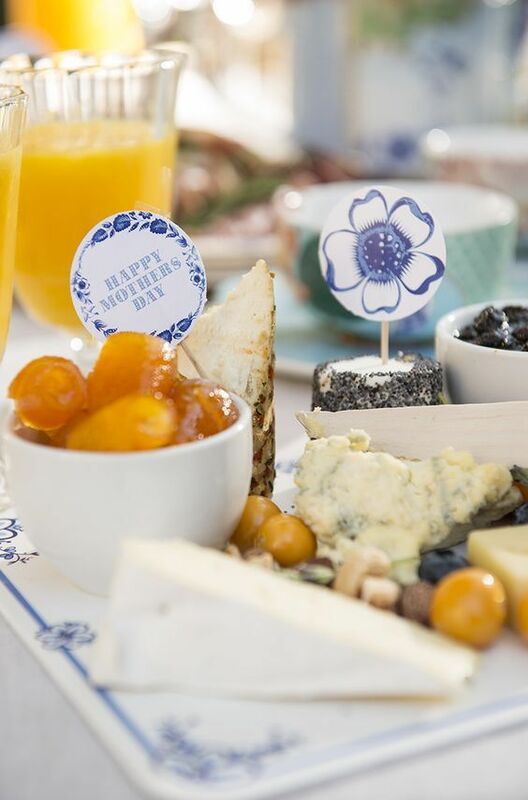 To take things to the next level, curate your Mother’s Day brunch to become a true event. 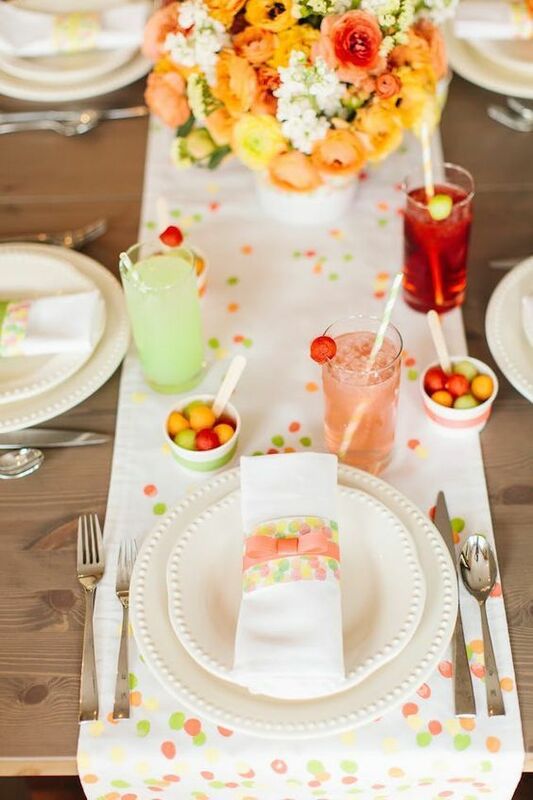 First, be sure to adorn the table with things that are fitting to your guests’s style. If they love to use fine china, use those in the place settings along with classic floral centerpieces like hydrangeas. If they are women of simplicity, have the place settings consist of a decorative name card and just one of their favorite flowers. When it comes to the menu, simply serve their favorite dishes. Mother’s day is for pampering and appreciating the women who raised us! One of the best ways to spoil them is with a breakfast-in-bed-style brunch. The key to executing this theme perfectly is to make the decor classy and the setting very comfortable. Once you’ve set the table with classic farm style dishes and vintage crystal goblets, you can then encourage your guests to dress up in their finest pajamas and host the brunch on the outside sofas for a cozier feel. We love a tablescape filled with charcuterie and other smorgasbord dishes. It makes for such a simple yet appetizing layout. 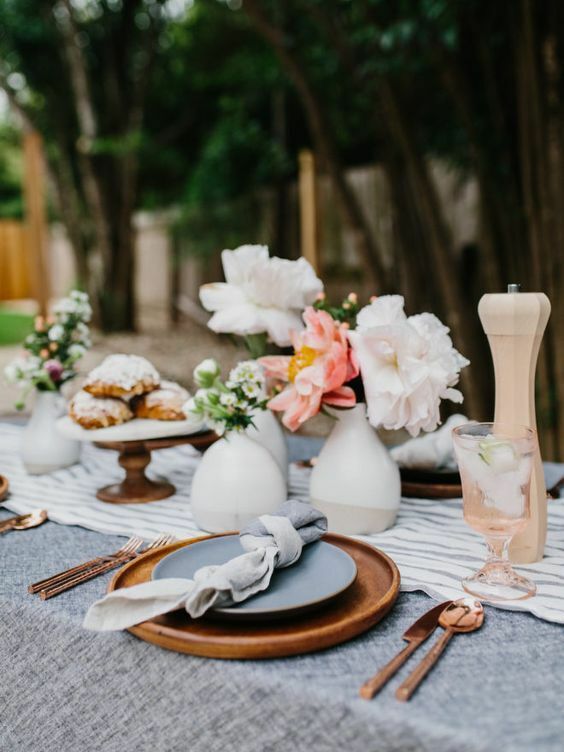 Add simple and fresh cocktails like sangria, mimosas, or white wine options and your guests are sure to love the simply chic effort put into the brunch. Instead of individual place settings, use quality butcher blocks and other bold serving boards along with stainless steel flatware and serving ware. One of the best things about brunch is that it’s traditionally held outdoors. With this, you’re able to include almost any type of decor. Our favorite outdoor table top idea includes nature-inspired settings and decor. We recommend sticking to a subtle design with linens and plates, a unique color of flatware, and pops of color in your centerpieces and glassware. Utilizing wooden plates paired with colors such as blues, greens, and soft pinks are sure to bring the whole look together in a natural and fresh way. 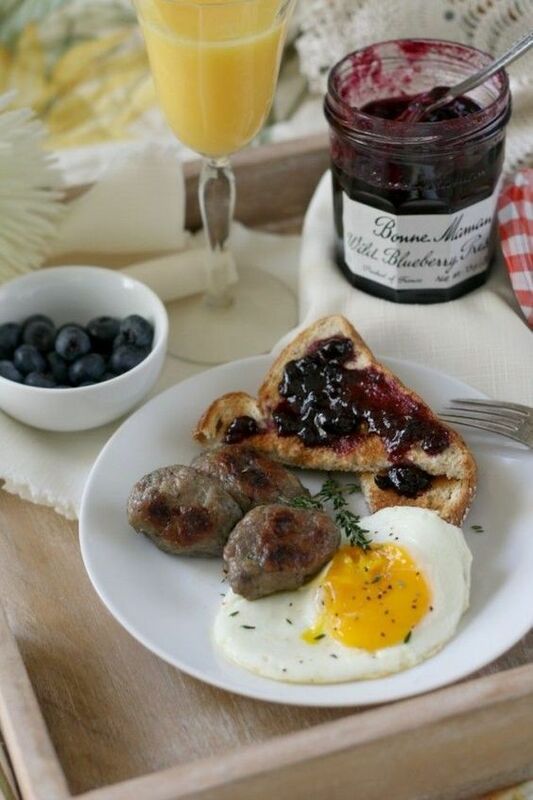 By now, we hope that you’ve harnessed some great inspiration and ideas for your upcoming Mother’s Day brunch. When in doubt, think back to who you’ll be creating the brunch for and what you really want them to enjoy on that day. 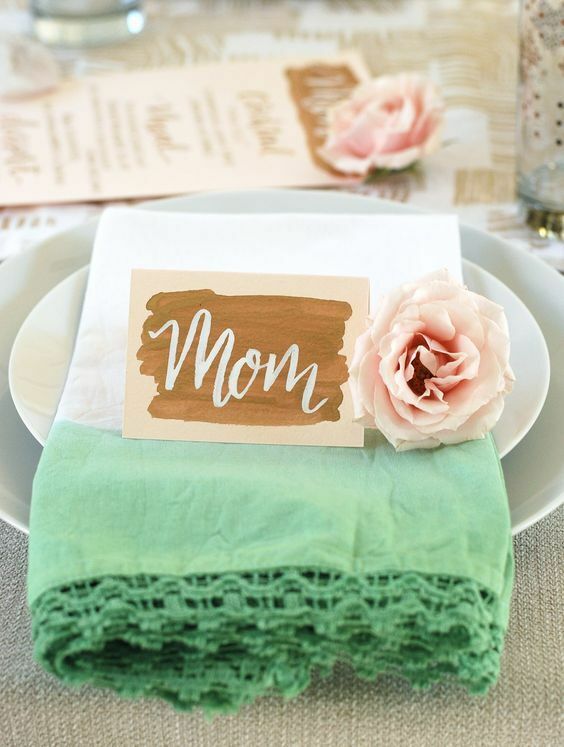 If you’ve held a Mother’s Day brunch before, we’d love to know your favorite decor and tabletop ideas in the comments below!